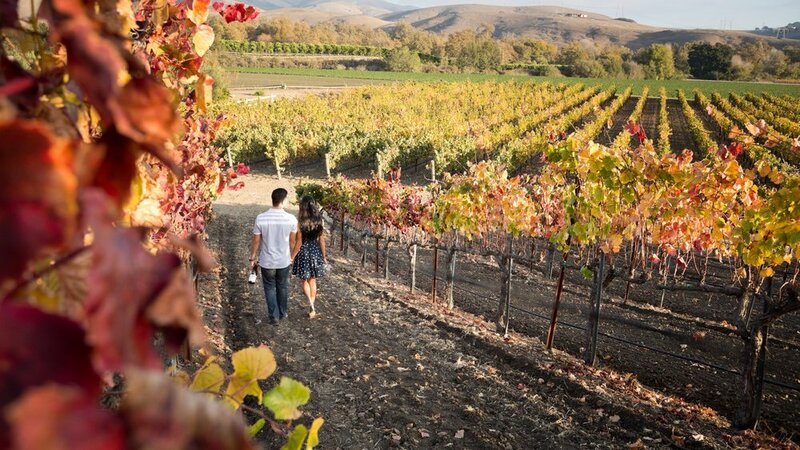 Edna Valley and Paso Robles highlight California’s premier destination for high-quality wine tasting. With a climate almost identical to that of the Champagne wine region of France, the results show through in every sip. Edna Valley consists of 32 unique wineries with fabulous views of the rolling hills, while Paso Robles is home to more than 200 unique wineries to pique any sophisticated palate. If you’re unsure where you would like to taste, simply ask our team of local specialists for recommendations, or use online resources provided by SLO Wine Country and Paso Wine Country Alliance. Desired Wineries, Special Requests, Questions, etc. As an educational experience, you can’t go wrong with a wine tour, whether you’re new to the tannin and aroma scene, or a sommelier. Although tasting wine is the ultimate reward of going on a wine tour, you will also speak with knowledgeable associates and learn about the grapes, and maybe even meet the owners. Paso Robles and Edna Valley are considered family-friendly wine regions, with hundreds of vineyard owners still interacting with its visitors daily. The wine tasting process begins when you walk into the winery and find a place near an associate. Tasting rooms are usually set up where the associate is behind a bar, lined with their menu of the season. You start with their collection of white wines and move down to red wines, with the option to skip any that don’t suit your fancy. Depending on which winery you visit, you can stroll around their tasting room, walk outside for the beautiful views of the Central Coast, or even snack on tapenade and cheese. Wine tastings range from $10 - $60 per person, which can be waived with a bottle purchase, or if you visit with a Wine Club Member. Obsidian Luxury Services offers packaged plans to include tasting fees, so that you do not have to pay at the winery upon the day of your visit. The typical crowd at a winery include Wine Club Members, groups celebrating birthdays, or special occasions, couples celebrating anniversaries, or locals and tourists enjoying what the Central Coast has to offer. Wineries are generally open daily from 11 AM to 5 PM and require reservations for groups of a certain number, which will be arranged by Obsidian Luxury Services Concierge Team.